The Panhandle will turn green over the next several days as St. Patrick’s Day festivities take over the region. The centerpiece, of course, is Shamrock’s annual festival, which runs Thursday through Sunday in the northeast Panhandle town. The party began there in 1938, then was revived in the 1950s to become the area’s preeminent St. Patrick’s Day party. In fact, in 2013, the Texas Legislature declared that Shamrock’s party is the official St. Patrick’s Day celebration for the state. Activities begin with a 3:30 p.m. Thursday invitational track meet at El Paso Stadium, then continue at 4 p.m. Friday with the opening of the carnival behind Bartlett’s, 100 E. Railroad Ave., and a kickoff banquet at 6:30 p.m. at the Shamrock Community Center, 911 S. Main St. Tickets are $15. 8 a.m.: Chili cook-off entries accepted. Cooking begins at 11 a.m., and judging begins at 2 p.m.
9:30 a.m.: Arts & Crafts Show in the Shamrock Junior High School gym, 100 S. Illinois St.
10 a.m.: Health Fair at First Baptist Church Family Life Center, 401 N. Main St.
1 p.m. Antique, Classic Car and Truck Show at U-Drop Inn, 101 E. 12th St.
9 p.m.: Dance featuring Cameran Nelson and J.W. Lane & County Road X at Shamrock Community Center. Tickets $10. Sunday’s closing events include the carnival and arts and crafts shows at noon, plus the Lad n Lassie Pageant at 1 p.m. in the Shamrock High School auditorium. 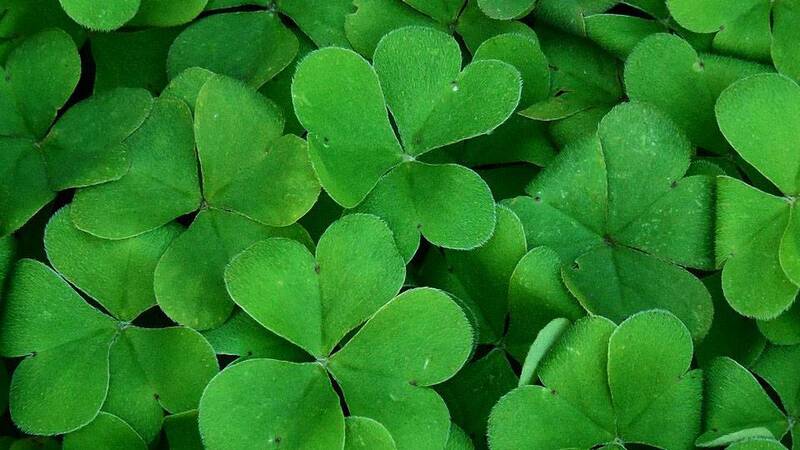 St. Patrick’s Party: Enjoy Irish food and drink at this party, and bring your own dish to share at 7 p.m. Wednesday at Wildcat Bluff Nature Center, 2301 N. Soncy Road. Suggested donation is $10. St. Patty’s Day Bash: Drink specials, a DJ and more are on tap for this party at 8 p.m. Thursday at House Bar, 1219 S.W. 10th Ave.
St. Patrick’s Day Party: Find drink specials and free admission for women at this party at 8 p.m. Thursday at Midnight Rodeo, 4400 S. Georgia St.
St.Patrick’s Day Party and Concert:Amarillo rock band Mustard and singer Jen Williams will perform at 8 p.m. Thursday at Skooterz, 4100 Bushland Blvd. The party also will feature drink specials. St. Patrick’s Day Bash: Party with an open bar, prizes, beer pong and more at 10 p.m. Thursday at Mode Center, 1407 S.W. 10th Ave. Cover is $10. “Pot of Gold”:The Bomb City Pretties burlesque troupe will give two St. Patty’s shows – 10 p.m. Thursday at Austin’s Texas Pub, 3121 S.W. Sixth Ave., and 10 p.m. Friday at House Bar, 1219 S.W. 10th Ave. Both shows feature award-winning Houston burlesque star Tifa Tittlywinks. Thursday’s show is free, and Friday’s has a $10 cover charge. “We Don’t Do Green Beer, We Do Cheap Beer”: 11 p.m. Thursday at R&R Bar, 701 S. Georgia St. Features drink specials. No cover. St. Patrick’s Day party: Amarillo bands Comanche Moon and Playa Lake will team up for a holiday party at Austin’s Texas Pub, 3121 S.W. Sixth Ave. Cover charge is $5. St. Patrick’s Day Celebration: Long Wooden Spoon Brewing will celebrate the holiday at 4 p.m. Saturday at 4098 Business Park Drive. Sample home-brewed beers and graze on food. Admission is $10, and the first 100 to register will get a commemorative pint glass. Proceeds benefit The 100 Club of the Texas Panhandle.